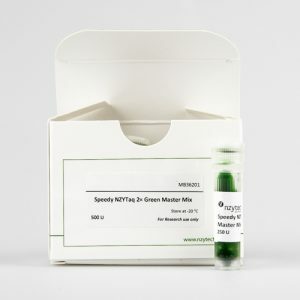 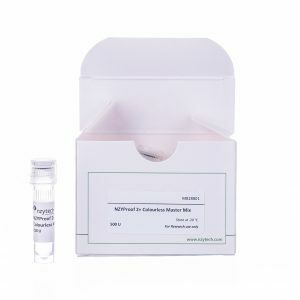 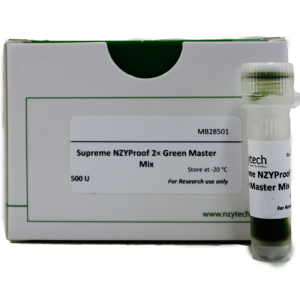 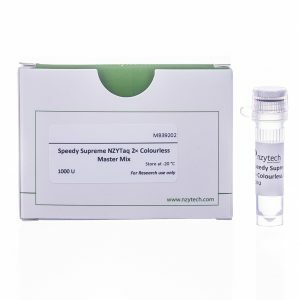 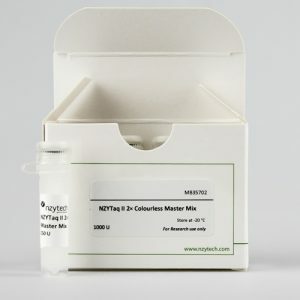 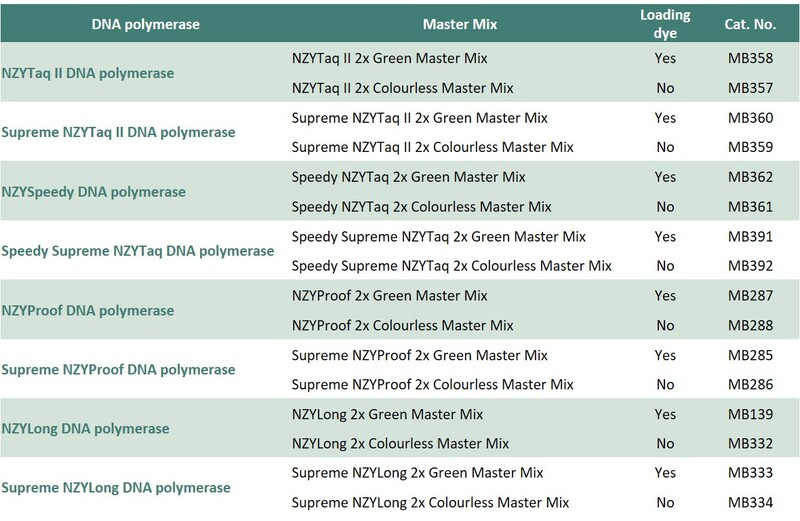 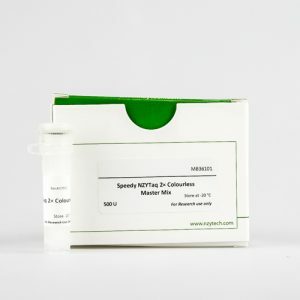 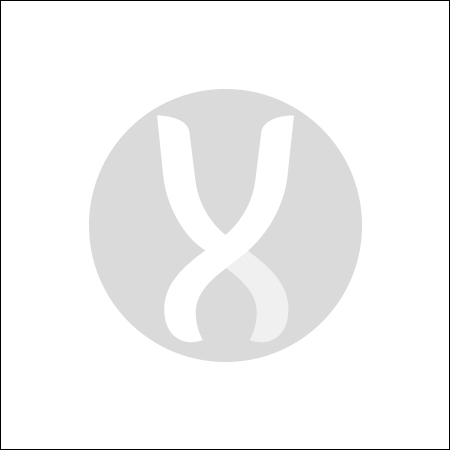 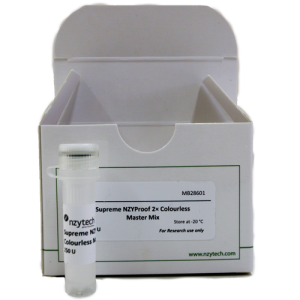 NZYTech presents a variety of master mixes containing all PCR components (except primers and template) at optimal concentrations, for efficient DNA amplification. 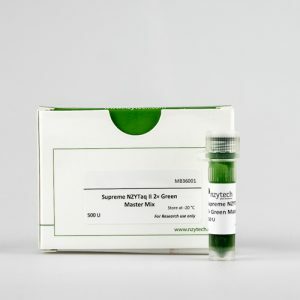 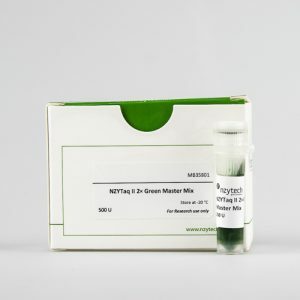 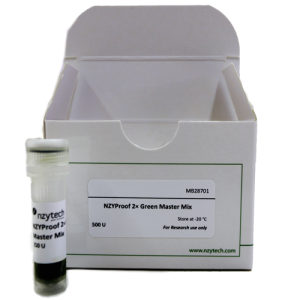 Green Master Mixes allow amplification reactions to be directly loaded onto agarose gels. 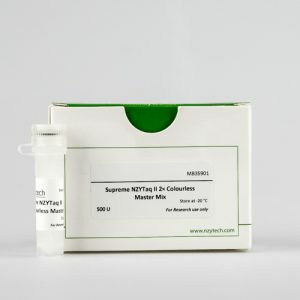 The mixes are formulated in 2x concentrated solutions and are performed using one of our DNA polymerases.